Ours has been good so far, a little hot, but we have been able to finish some chores, do a little shopping and rest. Last week we had really beautiful links at Tuesdays at Our Home. Here is a few of the most viewed. 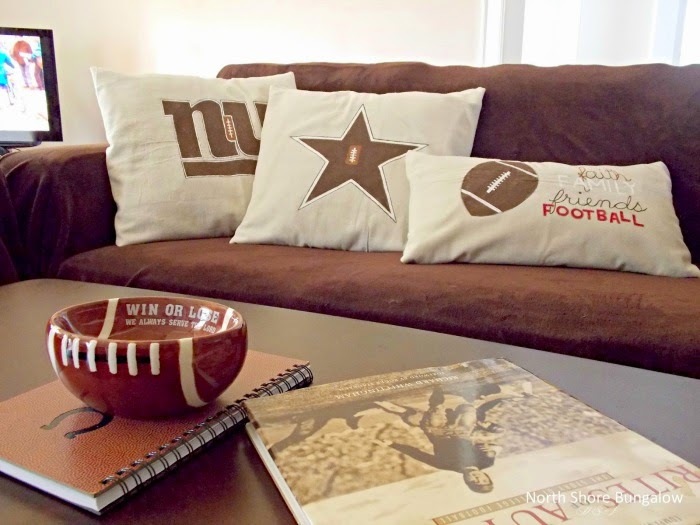 as part of her home decor. Gorgeous! Ashley at 3 Little Greenwoods gave us tutorial on how to make inexpensive rods for your bay window. 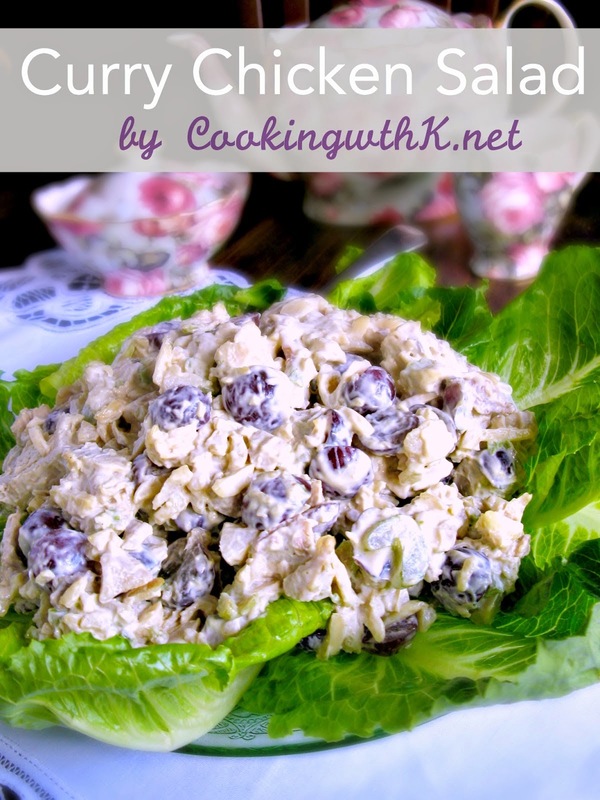 Kay at Cooking with K shared a wonderful recipe for Chicken Salad. Yum! Jody at Souther Seazons gave us a tour of her new covered porch. What a gorgeous outdoor space! Bev at Noth Shore Bungalow made some beautiful drop cloth pillows. Love them! 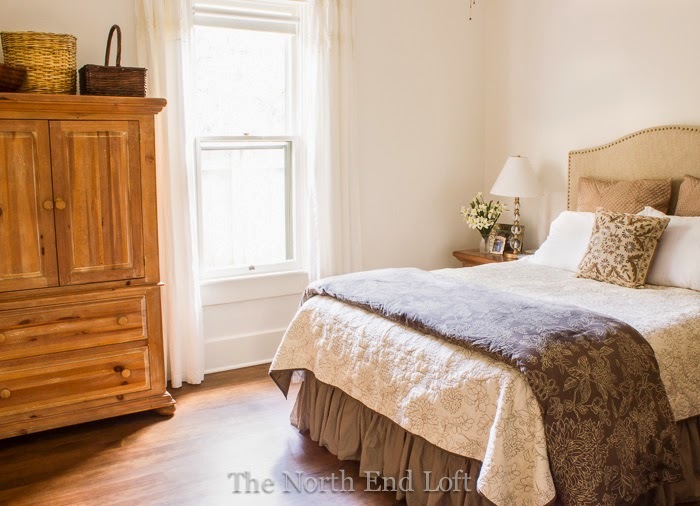 Laurel at The North End Loft gave us a tour of her gorgeous bedroom remodel. Thanks so much for hosting, Maria Elena! Have a wonderful week! Pretty features Ma. Elena. I love the old washer, awesome! Have a wonderful week and thank you for the great party. Hi Maria Elena! Glad you got some much needed rest this long weekend! We definitely did a lot of relaxing around here too. :) Thanks for hosting and hope your week is fantastic! Thank you so much, Maria Elena, for hosting this fun party each week! Thank you for hosting and thank you so much for the feature…see you next week! Wahoo! 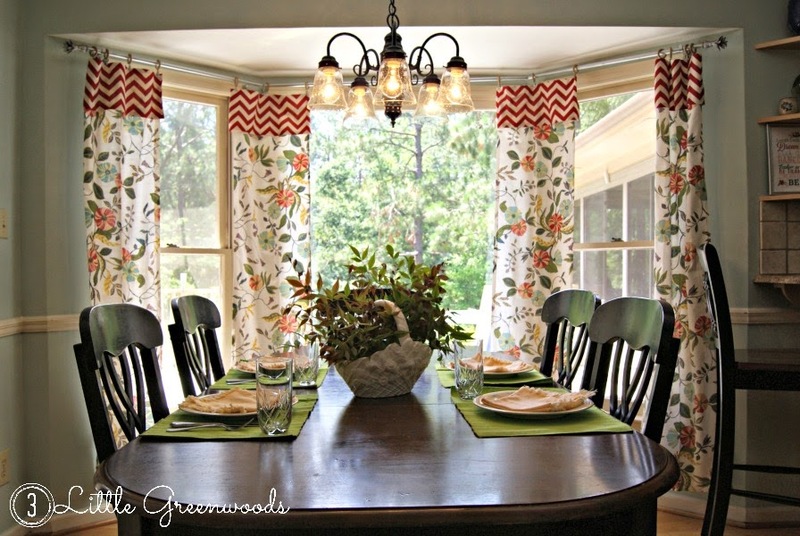 Thanks so much for featuring my Super Cheap Bay Window Curtain Rods! I haven't joined in a while dear, thanks for hosting an d hope you had a great Labor day Weekend! Thank you so much for featuring my covered deck! Hope you have a great week! Thank you for featuring our new master bedroom, Maria! I hope you have a nice (and cooler) week. Beautiful features, Maria Elena! Thanks so much for taking the time to host each week. Glad to link up! Hope you're having a great week! I love the vintage washer, so adorable! Thanks for the party.